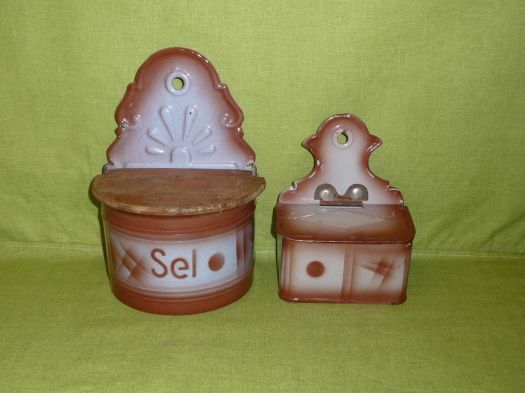 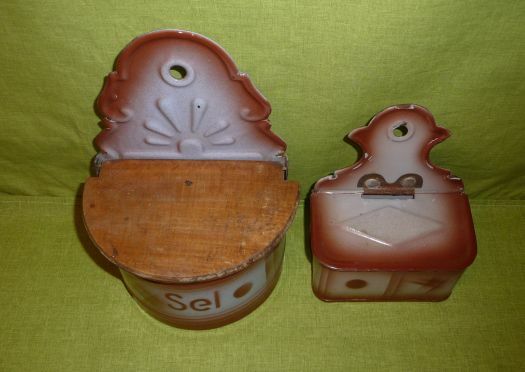 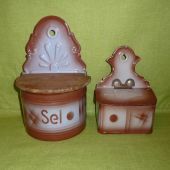 Salt box and match box, in good condition, only some small chips not worrying. 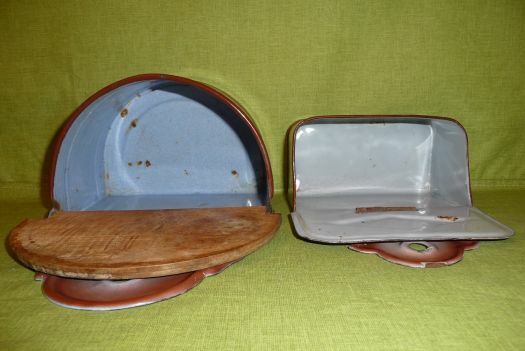 There are also some rusted points in the salt box. 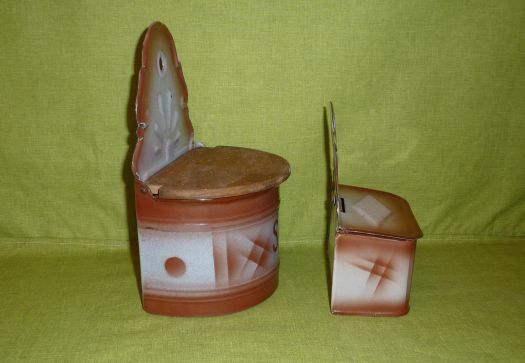 Cheap price for this set !